An upside-down world. A betrayed love. An unwanted child. Animals learning to walk and talk. A revolt by the subjugated masses. A kingdom come undone. This isn’t the King Arthur you know. 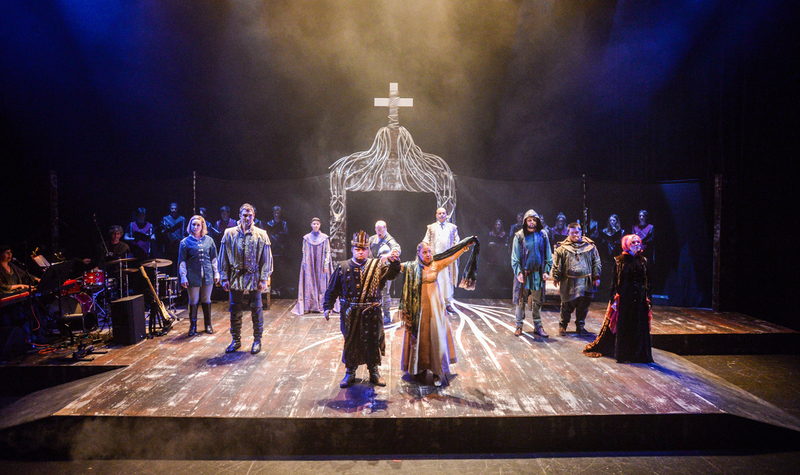 Refined, brutal, crude and tender, King Arthur’s Night invites audiences to reject the idea that some experiences are inherently marginal, and instead witness those stories front and centre on stage. The production includes the fully integrated professional cast with actors from the Down Syndrome Research Foundation, BC, a live band, and the Hong Kong Children’s Choir. Contains strong language. Not recommended for age 12 or under. National Arts Centre, with the major support of Banff Centre for Arts and Creativity, Stratford Festival, Bard On the Beach Shakespeare Festival and Shadbolt Centre for the Arts. Community Partners: Down Syndrome Research Foundation of BC, Kinsight, Inclusion BC, Burnaby Association for Community Inclusion and PosAbilities. Neworld Theatre acknowledges the generous support of the Canada Council for the Arts, the BC Arts Council, the Province of British Columbia, the Vancouver Foundation, the Hamber Foundation, the Koerner Foundation, Vancity, and our many individual and private donors. We gratefully acknowledge the financial support of the Province of British Columbia. Developed in part through The Collaborations at Canada’s National Art Centre. 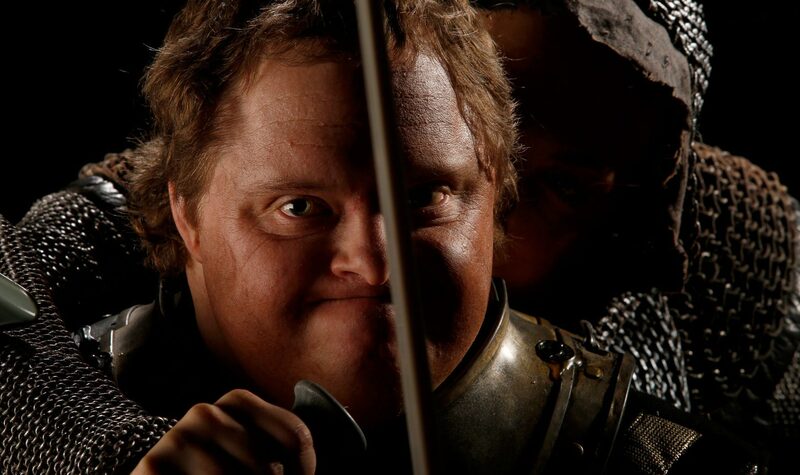 As part of the relaxed performance for King Arthur’s Night, No Limits will be offering a special Touch Tour. Touch Tours are a way for you the audience to understand the production better. Lasting approximately 15 minutes, you will be brought onto the stage, where you will meet some of the actors, get to see and touch their costumes and the set in close up. This is especially useful for blind or partially sighted theatre-goers to help enhance your theatre experience. The Touch Tour is limited to 20 patrons holding tickets to the relaxed performance of King Arthur’s Night. Please call 2777 1771 to reserve the audio description device in advance. * For purchase of each concessionary ticket for people with disabilities, the customer can purchase one ticket of same concession for a minder.